Blip.fm is internet radio made social. It's easy to search for, play, and discover free music recommended by real people. 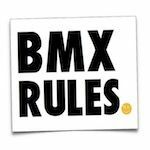 Join today to create your own free station and start listening to @BMXRULES. Depeche Mode World in my eyes, Subtitulos Español. BMXRULES u know those tunes that just take u on an adventure...come on..get in lets go. BMXRULES i got @ memo about @ little party n costa rica...should b @ good adventure..c u sunshine.